If you are a recipient facility, look for a pink Save The Date card (above) to come with your blankets during August and September. 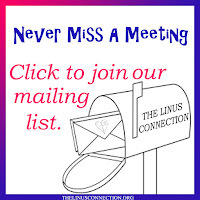 All facilities are invited, as well as volunteers and donors! 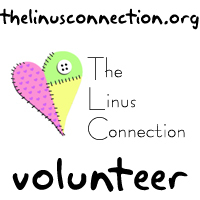 Come see our volunteers' awesome Challenge blankets, have some yummy treats and have a chance to win fun door prizes! 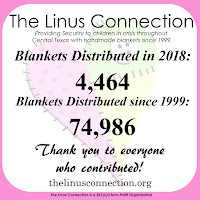 The Linus Connection has worked closely with our Recipient Facilities over the years to come up with guidelines for making the best blankets possible for the children that receive them. Please take a few minutes to read through theBlanket Specifications and print a copy for yourself. 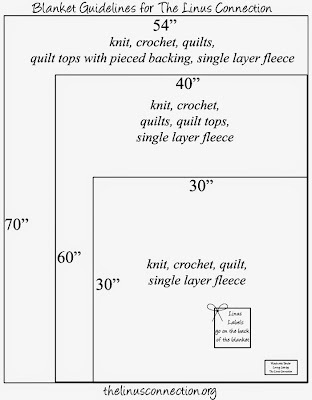 Blanket Specifications includes General Blanket Guidelines (sizes, etc. 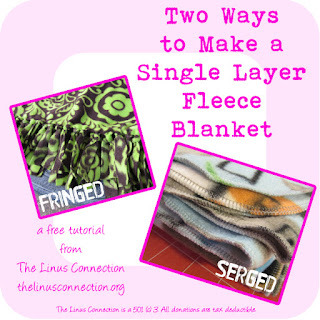 ), Quilts, Quilt Tops, Yarn Blanket, and Fleece Blankets. Blankets were shown and donated on August 18, 2012. They are not necessarily being shown by the person that made them.